Good Morning and welcome to my first project of 2019 for the Andy Skinner Creative Team. 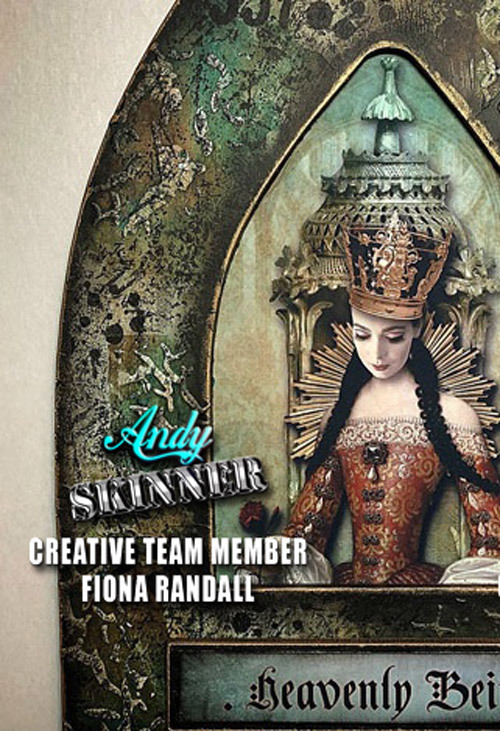 I love Shrines and especially Andy's Resurrection shrine kit as it has a gothic vibe to it reminiscence to the arched windows in gothic architectural buildings hence my title of this piece. 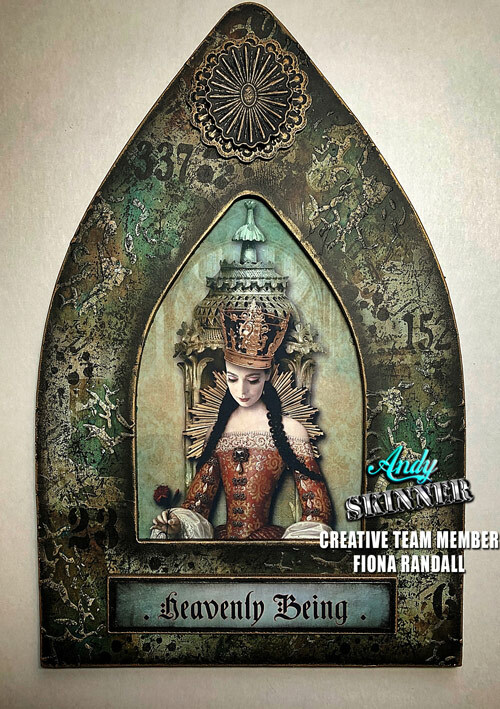 DecoArt Crackle paste was applied through a stencil and a grungy feel was built up in layers of DecoArt Media Fluid Acrylics Burnt Umber, Quinacrodone Gold and Cobalt Teal Hue. Stencil using Andy's Stencils was then applied in Black Archival Ink. DecoArt Metallic Lustre in Burnished Brass was swiped around the edges and buffed to a shine. The Focal Image and the Title were created in photoshop, printed off and applied to the frame insert and title boards respectively. A coat of DecoArt Media Ultra Matte Varnish was applied to seal and protect the piece. I hope you have enjoyed the project. Thanks for taking the time to stop by and read. DecoArt Media Mediums- Crackle Paste, Ultra Matte Varnish. DecoArt Media Fluid Acrylics, Burnt Umber, Quinacrodone Gold, Cobalt Teal Hue. Miscellaneous- Ranger Archival Ink- Black.